This retro Barstow motel is located on world famous Route 66. It features a collection of vintage cars and Route 66 memorabilia and offers simply furnished rooms with free Wi-Fi. Las Vegas is 150 miles away. A microwave and a refrigerator are found in each room at Route 66 Motel. The air conditioned rooms include a satellite TV with extended film channels. Select rooms come equipped with round beds. 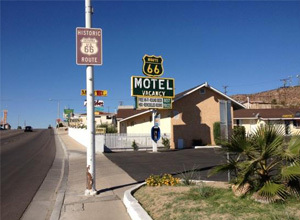 Within 1 mile of Motel Route 66, guests will find Harvey House, Amtrak Station Barstow and The Route 66 Museum. Calico Ghost Town is 20 minutes’ drive away. Route 66 Motel offers 24-hour reception and free parking is available. Located in Barstow, California, this motel is 10 miles from the historic Calico Ghost Town. It features an outdoor swimming pool, serves a daily deluxe breakfast and has guest rooms with free Wi-Fi. 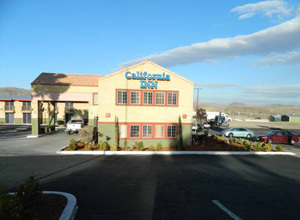 Guest rooms at the California Inn Barstow feature cable TV with HBO film channels and tea and coffee-making facilities. A microwave and mini fridge are also included. A gym with cardio and weight training equipment and a business centre are available at the Barstow California Inn. A guest launderette is also located on site. The Harvey House Museum and the Rail Road Museum are 5 minutes’ drive away from this motel. In the center of Barstow, California, a short drive from popular area attractions, including Death Valley, this hotel features spacious accommodation along with thoughtful amenities. The Best Western Desert Villa Inn is conveniently situated near area motorways, allowing guests to easily explore the surrounding areas. The Calico Ghost Town and the Mojave Desert Museum are in close proximity to the hotel. Guests at the pet-friendly Desert Villa Best Western can start the day with a complimentary continental breakfast and relax after a long day of sightseeing in the refreshing outdoor swimming pool. This Barstow motel is 1.5 miles from Interstate 15. Guests can enjoy free coffee in the lobby from 0800 to 2200 hrs and free Wi-Fi in all of the guest rooms. 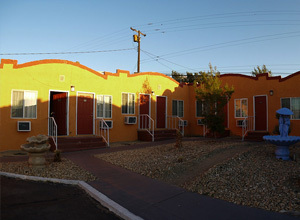 Cable TV is provided in all of the air-conditioned guest rooms at Sunset Inn Barstow. For convenience, rooms also include a microwave and a refrigerator. 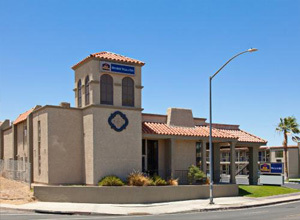 The Western America Railroad Museum is less than 5 minutes’ drive from the Barstow Sunset Inn. The Desert Discovery Center is 1.5 milesaway. The Rodeway Inn hotel is ideally located just one mile from the Mojave National Preserve, offering hiking, biking and backpacking. This Barstow, CA hotel is minutes from Calico Ghost Town, the Mojave River Valley Museum, the Western America Railroad Museum and Barstow College. All guest rooms have coffee makers, desks, hair dryers and cable television. In addition, some rooms come equipped with refrigerators and microwaves. Non-smoking rooms are available. 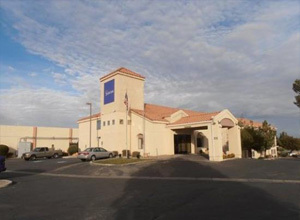 Guests of this Barstow, CA hotel are invited to enjoy amenities and features like free continental breakfast, free wireless high-speed Internet access in all rooms, free local calls and an exercise room. Guests will enjoy relaxing in the seasonal outdoor pool. The city of Barstow is located along historic Route 66, and is the perfect stopping point for visitors traveling to or from the many southern California cities and the popular city of Las Vegas. The hotel is across the street from a grocery store. A variety of restaurants and cocktail lounges are located in the surrounding area. 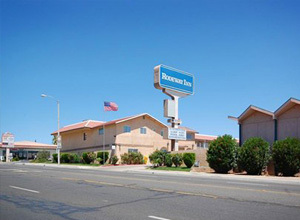 Located off of I-15, this motel Barstow hotel offers an outdoor pool and fitness centre. Free Wi-Fi access is available in each room. Free parking for buses, trucks and RVs is available. 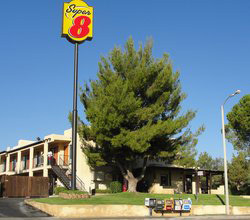 A flat-screen cable TV is provided in each air-conditioned room at Super 8 Barstow. Complete with a microwave, the dining area also has a refrigerator and a coffee machine. Featuring a bath or shower, private bathrooms include a hairdryer and free toiletries. A 24-hour reception greets guests of Super 8 Barstow. BBQ facilities and vending machines with snacks and drinks are located on site. Depue Airport is 15 km away from this hotel. Newberry Mountains Wilderness Area is 22.5 km away. 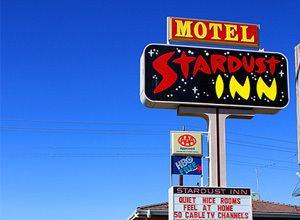 Stardust Inn is located in Barstow, just off Historic Route 66. Free Wi-Fi access is available and guests can enjoy free coffee each morning in the lobby. Cable TV is featured in all rooms at this motel. A microwave and a small fridge are also provided in each air-conditioned room. 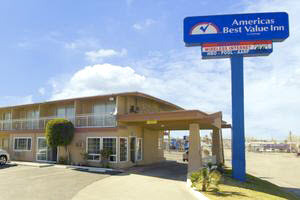 This Barstow hotel features an outdoor pool, free Wi-Fi and all rooms have a microwave and refrigerator. Barstow College and the Tanger Shopping Outlet Mall are 10 minutes away. 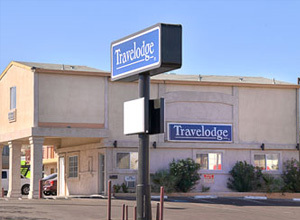 Each room at Travelodge Barstow offers a work desk, cable TV and ironing facilities. A private bathroom with toiletries and a hairdryer are included. Breakfast is served daily in the lobby along with free coffee. A free weekday newspaper is available and free parking is offered on site at the Barstow Travelodge. The Greyhound Bus Station is located across the street from this Travelodge. The Marine Corp Logistic Base is 5 minutes from the hotel and Calico Ghost Town is 15 minutes away. Ideally located just off the legendary Route 66, in the charming city of Barstow, California, this hotel provides convenient accommodations, ideal whether travelling for business or for pleasure. Experience exciting attractions and sites, including Calico Ghost Town, Mojave National Preserve, outlet shopping and local restaurants, all located only minutes away from Americas Best Value Inn Barstow. After a restful night’s sleep, begin your morning with Best Value Inn Barstow’s complimentary continental breakfast, featuring pastries, bagels and cappuccinos, before exploring the surrounding areas.